London 2012. The Olympics and Paralympics Games came to town. 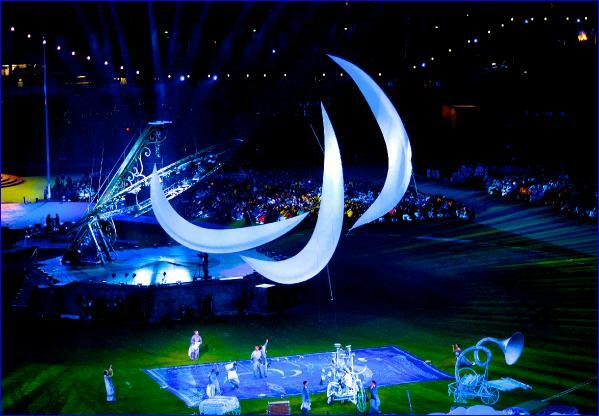 In collaboration with Director, Kim Gavin, Joe helped to develop and was featured in the opening sequences for both the Olympics and Paralympics Closing Ceremonies. 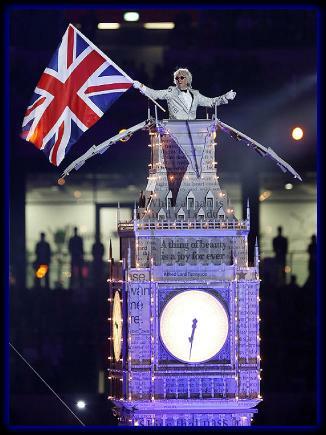 The image of him waving the British flag atop a replica of Big Ben was featured on news sites and newspapers around the world. His suggestions for the Dreamers sequence at the start of the Paralympics Closing Ceremony, led into a rowdy and playful mix of Mad Max style machines and the raising of the Paralympics icon.